It would have cost a lot more unmodified. A couple of weeks ago, we reported on one of the most unusual Bentleys we’ve ever seen. Up for sale on eBay was the one-off Bentley Continental GT Rally Edition which gave you an idea what a Bentley might look like if it was prepared for the apocalypse. We’re used to seeing similar concepts visualized as renders, but this was made for real. Except it wasn’t built by Bentley – it was a special project made for National Geographic’s Supercar Megabuild TV series. The auction has since ended, and the winning bidder must surely be happy with the bargain price they managed to snap this rally-spec Bentley for. After 101 bids, the bespoke Bentley sold for 40,800 GBP which is around $55,171. That’s an absolute bargain for an extensively modified 2004 model Continental GT, and probably would have sold for much more if it wasn’t modified. 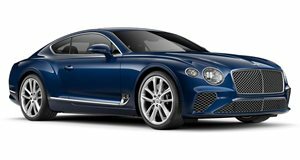 We’d rather have this one as it’s so unique – its new owner can safely say there’s no other Bentley Continental GT like this in the world. It’s estimated that the modifications used to turn this Bentley into a Dakar-inspired off-road beast cost around 25,000 GBP ($33,850), just to put the final selling price in perspective. To make the Continental GT ready for the apocalypse, a new suspension system was installed along with 17-inch steel wheels with 65-profile knobbly tyres, LED spotlights and some badass bull bars. It’s all-wheel drive so it can tackle rough terrain, but has also been equipped with extra fuel tanks, underbody armour, and upgraded front brakes. Combine all that with Bentley’s familiar 6.0-liter W12 engine producing 552 horsepower and a luxurious interior, and we can’t think of a better car to battle the apocalypse with.